These Terms and Conditions shall apply to the provision of Services by the Supplier to the Client. In the event of conflict between these Terms and Conditions and any other terms and conditions (of the Client or otherwise), the former shall prevail unless expressly otherwise agreed by the Supplier in writing. With effect from the Commencement Date the Supplier shall, in consideration of the Fees being paid in accordance with the Terms of Payment will provide the services expressly identified in the Grounds Maintenance specification or otherwise agreed under this agreement. The Supplier will use reasonable care and skill to perform the services identified in the Grounds Maintenance specification or otherwise agreed under this agreement. The Supplier shall use all reasonable endeavours to complete its obligations under the Grounds Maintenance specificatio, but time will not be of the essence in the performance of these obligations. The Client agrees to pay the Fees in accordance with the terms of payment. In addition the Supplier shall be entitled to recover from the Client his reasonable incidental expenses for materials used and for third party goods and services supplied in connection with the provision of the Services. 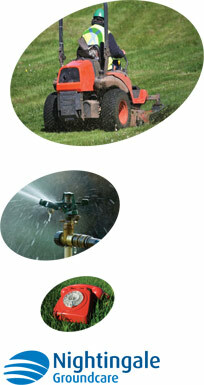 The Client will pay the Supplier for any additional services provided by the Supplier that are not specified in the Grounds Maintenance specification in accordance with the Supplier's then current, applicable daily rate in effect at the time of the performance or such other rate as may be agreed. Any charge for additional services will be supplemental to the amounts that may be due for the Expenses. All sums payable by either party pursuant to this Agreement are exclusive of any value added or other tax (except corporation tax) or other taxes on profit, for which that party shall be additionally liable. All payments required to be made pursuant to this Agreement by either party shall be made within 30 days of the date of the relevant invoice by cheque/BACS in cleared funds, without any set-off, withholding or deduction except such amount (if any) of tax as that party is required to deduct or withhold by law. The time of payment shall be of the essence of these terms and conditions. If the Client fails to make any payment on the due date in respect of the price or any other sum due under these terms and conditions then the Supplier shall, without prejudice to any right which the Supplier may have pursuant to any statutory provision in force from time to time, have the right to charge the Client interest on a daily basis at an annual rate equal to the aggregate of 5 per cent and the base rate of Barclays Bank from time to time on any sum due and not paid on the due date. Such interest shall be calculated cumulatively on a daily basis and shall run from day to day and accrue after as well as before any judgement. If the Client wishes to vary any details of the Grounds Maintenance specification it must notify the Supplier in writing as soon as possible. The Supplier shall endeavour to make any required changes and any additional costs thereby incurred shall be invoiced to the Client. If, due to circumstances beyond the SupplierÂ’s control, it has to make any change in the arrangements relating to the provision of the Services it shall notify the Client forthwith. The Supplier shall endeavour to keep such changes to a minimum and shall seek to offer the Client arrangements as close to the original as is reasonably possible in the circumstances. In the event of termination under clause 7.1 the Supplier shall retain any sums already paid to it by the Client without prejudice to any other rights the Supplier may have whether at law or otherwise. Either party may sub-contract the performance of any of its obligations under this Agreement without the prior written consent of the other party. Where either party sub-contracts the performance of any of its obligation under this Agreement to any person with the prior consent of the other party, that party shall be responsible for every act or omission of the sub-contractor as if it were an act or omission of the party itself. Except in respect of death or personal injury caused by the SupplierÂ’s negligence, the Supplier will not by reason of any representation, implied warranty, condition or other term, or any duty at common law or under express terms of this contract, be liable for any loss of profit or any indirect, special or consequential loss, damage, costs, expenses or other claims (whether caused by the SupplierÂ’s servants or agents or otherwise) in connection with the performance of this contract or with the use by the Client of the Services supplied. The Client shall indemnify the Supplier against all damages, costs, claims and expenses suffered by the Supplier arising from loss or damage to any equipment (including that of third parties) caused by the Client, or its agent or employees. The Supplier shall not be liable to the Client or be deemed to be in breach of these terms and conditions by reason of any delay in performing, or any failure to perform, any of the Supplier's obligations if the delay or failure was due to any cause beyond the Supplier's reasonable control. No waiver by the Supplier of any breach of these terms and conditions by the Client shall be considered as a waiver of any subsequent breach of the same or any other provision. A waiver of any term, provision or condition of this agreement shall be effective only if given in writing and signed by the waiving party and then only in the instance and for the purpose for which the waiver is given. If any provision of these terms and conditions is held by any competent authority to be invalid or unenforceable in whole or in part the validity of the other provisions of these terms and conditions and the remainder of the provision in question shall not be affected thereby. The Supplier reserves all copyright and any other rights (if any) which may subsist in the products of, or in connection with, the provision of the Supplier's services or facilities. The Supplier reserves the right to take such actions as may be appropriate to restrain or prevent infringement of such copyright. Any notice or other information required or authorised by this Agreement to be given by either party to the other shall be given by sending via pre-paid registered post, email, facsimile transmission or other comparable means of communication. Any notice or information given by post in the manner provided by Clause 14.1 which is not returned to the sender as undelivered shall be deemed to have been given on the tenth day after the envelope containing it was so posted; and proof that the envelope containing any such notice or information was properly addressed, pre-paid, registered and posted, and that it has not been so returned to the sender, shall be sufficient evidence that the notice or information has been duly given. Any notice or information sent by e-mail, telex, cable, facsimile transmission or comparable means of communication shall be deemed to have been duly given on the date of transmission, provided that a confirming copy of it is sent to the other party 24 hours after transmission.